what one pump looks like on my hand. Recently my skin has been acting up, big time. It hasn't been very pretty. 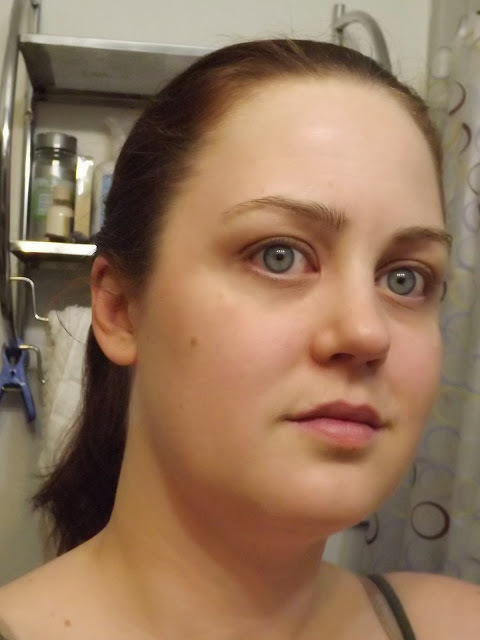 I blame no enough sleep, a pore diet (not enough veggies, too much junk) and working too hard. Well apparently this is called Behavioural Aging. 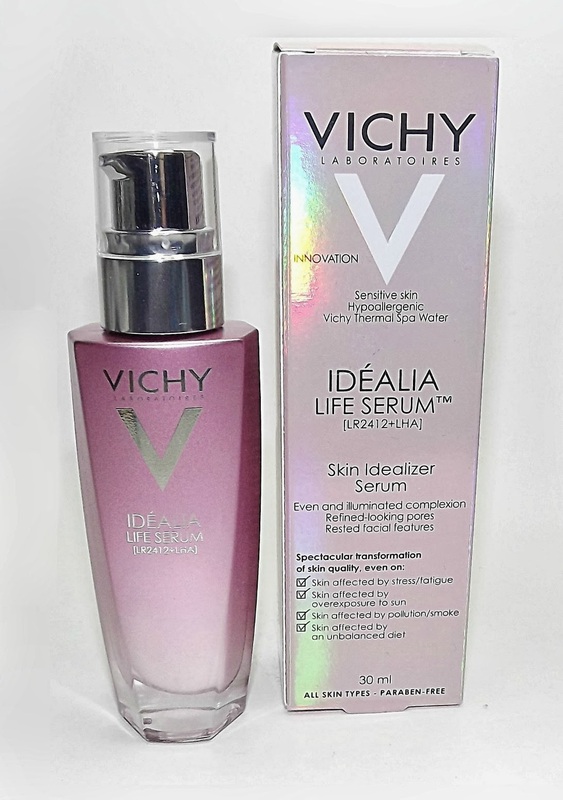 Well I am ever so grateful that Vichy invented their Idealia Life Serum just to fight behavioural aging. 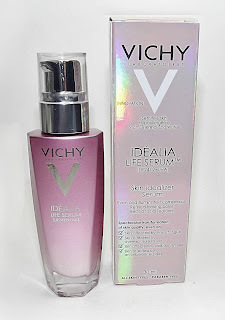 With thier exclusive correcting complex (LR2412+LHA) it helps repair skin that is damaged by all our little life indulgences in real time. The one pump blended out. Idealia delivers improvements in the skin by giving you a fresh complexion, even skin tone, refined pores and rested features in as little as 8 days. It can also be used as a primer. So what did my skin think about it? Well it calmed down, stopped being red and started to look more even and my tired dull skin started looking more fresh and more rested. It was less dry despite the weather getting colder. In other words my skin loved it. My life is so rushed that latley makeup has not been a priority for me, Idealia has let me feel confidant in running out the door with no makeup on. So if you are in the market to get a new primer and/or serum, or you haven't been behaving the best and your skin is showing it (holiday stress anyone?) 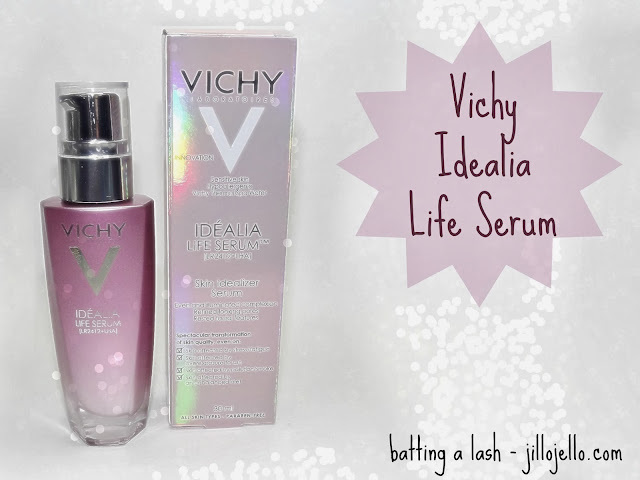 I highly recommend Idealia, my skin if definitely thanking me for it. daring to go with out makeup. A month ago my skin was a wreck now I can go without makeup and feel confident. *Product was sent to me for consideration but all opinions are my own.